Roger BELLAND and his daughter Julie represent the fifth and sixth generation of the Domain Belland. Passionately fond of exceptional wines since six generations, we cultivate 23 hectares of vines, mainly situated in the best terroirs of Premiers and Grands Crus of Les Maranges, Santenay, Chassagne Montrachet, Puligny Montrachet, Meursault, Volnay and Pommard. After the pruning, during the Spring, we very seriously accomplish tasks like the disbudding, in order to control the yields, but also to privilege the prophylactic techniques to the chemicals ones of disease protection. They’re entirely hand-made, like the sorting of the grapes, which is effected in the vine on a sorting table in a very rigorous way. 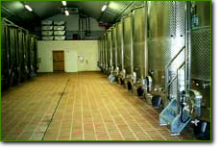 Thanks to our modern winery, the macerations and fermentations pass off at low temperature, because we do love round, complex and fruity wines. The rows of our vines are all sown with a selected grass, what is a very good thing for the environment. It enables to suppress the use chemical weed-killers, to expand the microbial life of the soils ant to fight against erosion. 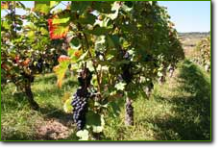 This technique also helps to control the yields, and thus to respect better the typicity of each terroir. 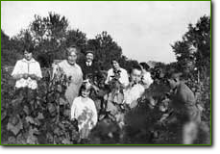 Since the month of June, leaves are thinned out of the fruit-bearing zone, in order to aerate the grapes and enable them to get a maximum of sunlight. 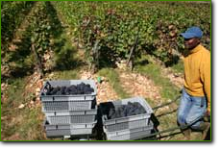 Therefore we are resolutely interested in a supervised and mastered viticulture, respectful with the environment. 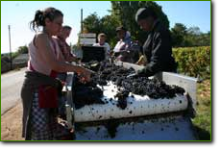 The grapes are harvested and carried in very small grape boxes, in order that we may vinify beautiful grapes absolutely not spoilt. 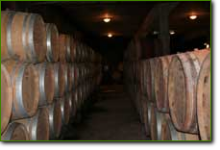 After a maturing in French oak barrels in our cellars, we bottle the wines ourselves at the Domain. Then slowly, they improve themselves for you!